Spartan Race picked up another sponsor yesterday inking a three year deal with Eat the Bear. 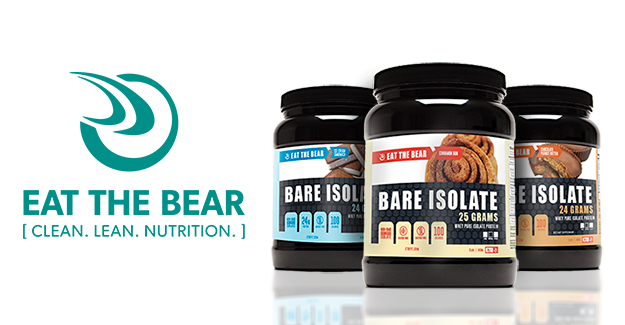 Eat the Bear is now the official performance nutrition of Spartan Race US. The company in its sixth year produces clean and lean sports nutrition. The synergy of the two brands continues the commitment to a healthy lifestyle that Spartan Race has made a cornerstone of the company. Learn more about the partnership below. Eat The Bear (https://etbfit.com), the pioneers in clean and lean sports nutrition, today announced a three-year partnership with Spartan Race, the world’s largest obstacle race and endurance brand. Through the partnership, Eat the Bear will become the “Official Performance Nutrition of Spartan U.S.,” which includes, but is not limited to, Official Pre-Workout Drink, Official Protein Powder, Official Amino Energy Drink, Official Sponsor, and Official Partner of Spartan Race U.S.
As part of the partnership, Eat the Bear, which currently develops products in two categories (ETB Naturally and Sports Performance), will be sold through shop.spartan.com and partner with Spartan to include customized Spartan Stacks – further enforcing the lifestyle to the brand’s more than 1 million global participants, as well as to those who aspire to live a cleaner, leaner and fitter life. Now in its sixth year, Eat the Bear was founded by Jude Colangelo. In 2016, the brand signed a three-year endorsement agreement with Luke Kuechly of the Carolina Panthers, which provided Kuechly with an equity position as well as a seat on the board of directors.